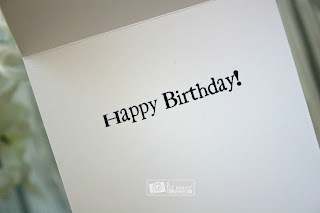 Liz's Paper Loft: MCT Designer Challenge ~ happy birthday! Well enough of me, lets get to the project at hand :) Today is Photo/Color/Sketch Challenge over at My Creative Time! This is the best challenge since you get to pick what you want to do. 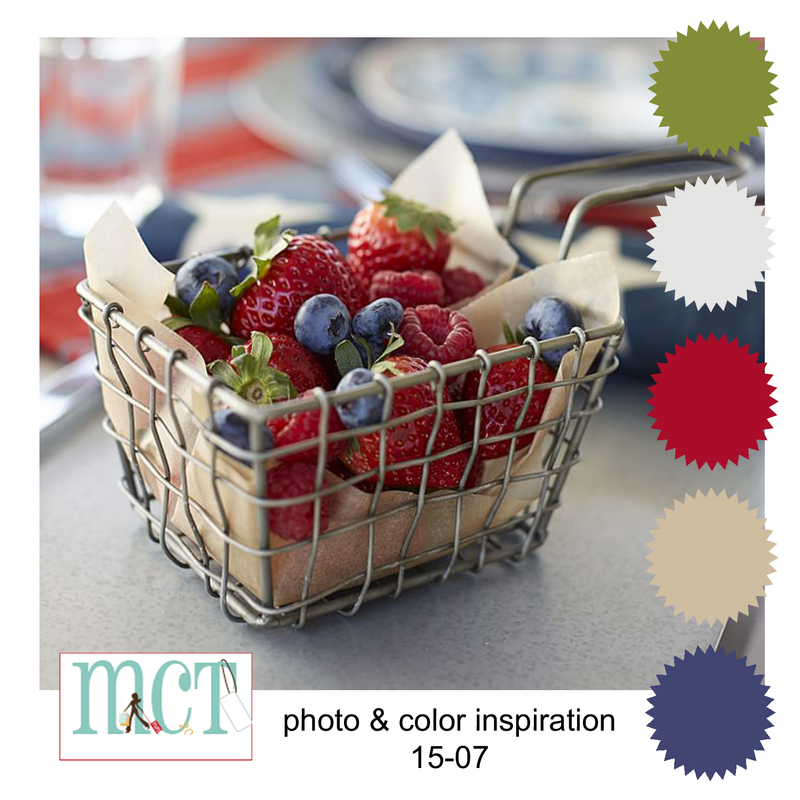 Whether it be the photo, color, sketch or all three, it's YOUR CHOICE! I decided to use some of the colors and the sketch for my card. I also used the Newly Revised My Little Firecracker set. 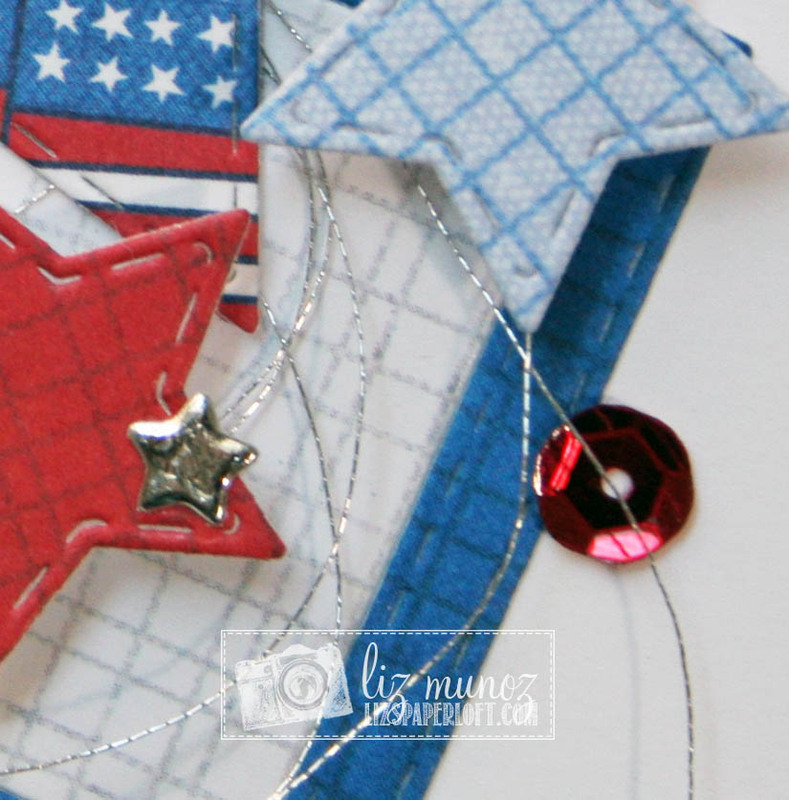 Aren't those teeny tiny chrome stars DARLING, they are part of the revised set! 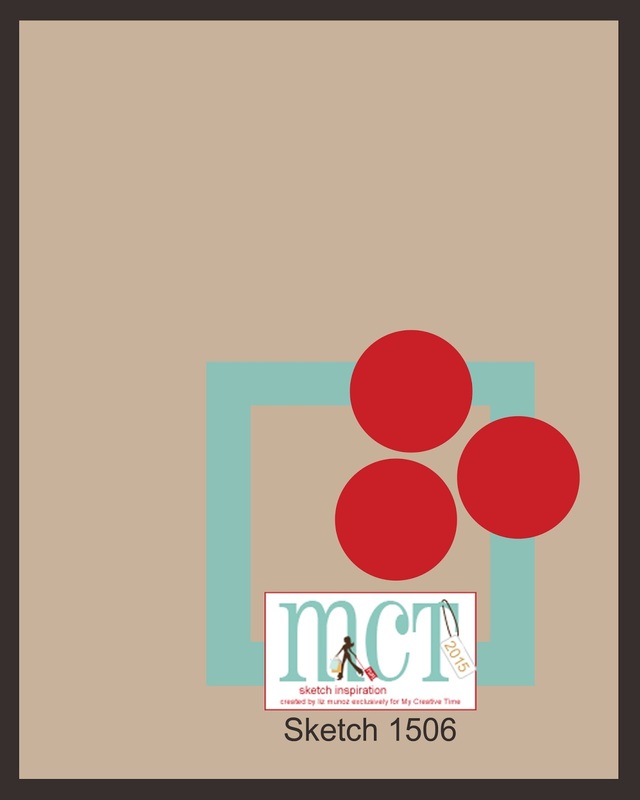 To enter the challenge, click HERE! OMG Miss Liz your card is so cute!! 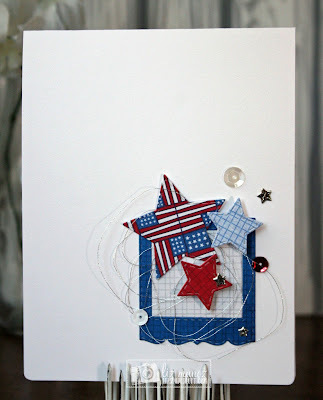 I Love how you used all of Miss Emma's goodies.....super great outstanding creative 4th of July idea and yes I love the revised Firecracker set....I couldn't buy it fast enough love the little stars and firecracker...love what you did with it. I just love this card, Liz! 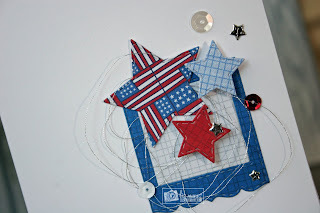 The patterned stars are fabulous, and the metallic thread is so pretty! So glad to see you crafting again!!! Great job on the sketch. The papers are perfect and I love the nest of thread with the sequins and chrome stars. Beautiful!